I was recently informed that Special Prosecutor Robert Mueller served subpoenas for financial records pertaining to Aaron Rich, brother of Seth Rich. The special counsel apparently was/is investigating whether Wikileaks made payment to Aaron in exchange for Seth leaking Democratic National Committee emails to Wikileaks. Obviously, that could be relevant to the motive for Seth Rich’s murder. It might also explain Aaron’s statement in his lawsuit that he was working with “state and federal law enforcement officials” as opposed to DC law enforcement alone. Any such subpoenas almost certainly would have been served by the FBI agents assigned to work for the special counsel. I would therefore like to know whether the FBI’s search for records included records related to the foregoing subpoenas. Thank you in advance for your assistance. The California Bar’s top attorney and its former chief disciplinary prosecutor are under investigation for professional misconduct, according to a letter that I received today. 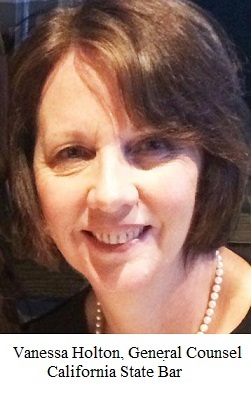 Attorney Edward J. McIntyre of San Diego wrote in a letter dated August 12, 2018 that he was appointed special deputy trial counsel to investigate my bar grievances against seven current and former bar attorneys, including General Counsel Vanessa Holton and former Interim Chief Trial Counsel Gregory Dresser. I first blogged about corruption in the California Bar on May 9, 2016, after bar prosecutors violated the law by withholding exculpatory evidence during the prosecution of my former client. Ironically, one of those bar prosecutors, Cydney Batchelor, had chaired the bar’s task force on prosecutorial misconduct. In a bizarre attempt to defend herself, she admitted that she had withheld the exculpatory evidence, but her supervisors whitewashed the incident anyway. It looks like the federal judiciary is having another #MeToo moment. The U.S. Court of Appeals for the Fifth Circuit is investigating three San Antonio bankruptcy judges in response to allegations that they covered up sexual misconduct by the former court clerk and permitted retaliation against a whistleblower, according to records provided by a former employee. 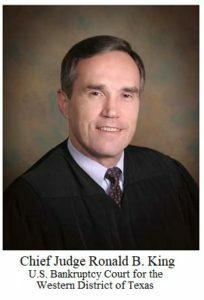 In a May 14, 2018 letter to former court employee Alan Vest, a deputy clerk wrote that Chief Judge Carl E. Stewart of the Fifth Circuit appointed himself and two other judges, Fifth Circuit Judge Leslie H. Southwick and Northern District of Texas Judge Jane H. Boyle, to investigate the complaint that Mr. Vest filed against Chief Bankruptcy Judge Ronald B. King and Bankruptcy Judges Craig A. Gargotta and H. Christopher Mott of the Western District of Texas. The investigation has not been reported publicly, and the three judges declined my requests for comment. 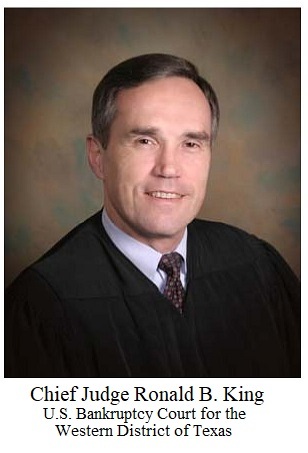 The former clerk, George D. Prentice, now serves as the clerk of the U.S. Bankruptcy Court of Arizona in Phoenix. According to Mr. Vest, his troubles began almost eight years ago when he questioned the appointment of an inexperienced female candidate as head of his department. The woman originally was hired as a summer intern, then suddenly left her position without giving notice, he said. Is Judge Kyle Hawthorne trying to cover up real estate fraud by his former law firm? 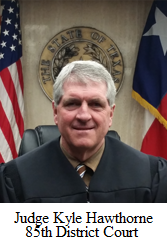 In my July 9, 2018 blog post, I tried to give 85th District Court Judge Kyle Hawthorne the benefit of the doubt. It turns out he didn’t deserve it. I learned last week that Judge Hawthorne’s favoritism toward his former law firm and law partner was far worse than I knew. In fact, I believe it merits a criminal investigation. 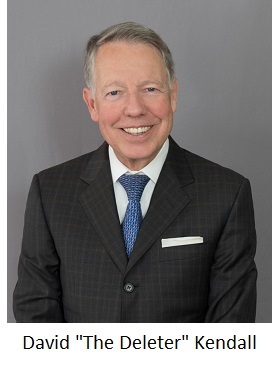 In a motion that I filed this afternoon, I set forth evidence suggesting that Judge Hawthorne is aiding and abetting an alleged real estate fraud that involves his former partner, Jay Goss, and his former law firm, now known as Bruchez, Goss, Thornton, Meronoff & Briers, P.C. Buckle up, kids. It’s time to air some dirty laundry. First, a little background: As a practicing lawyer, I’ve had to keep my mouth shut about a lot of things. Some of it is pretty straightforward, e.g., privileged communications from my client. Other things are much murkier, e.g., deciding when to speak up about the petty corruption and political favoritism that I routinely witness in the courtroom. If you follow this blog, you might assume that I automatically blow the whistle every time I see judicial chicanery, but I don’t. I learned years ago (and the hard way) that judges are often quick to retaliate. When I speak up, there is a strong chance that one of my clients will suffer for it. 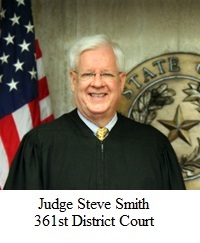 I once criticized U.S. District Judge Vanessa Gilmore in Houston for some grossly inappropriate comments that she made in the courtroom, and 361st District Judge Steve Smith decided to avenge her by retaliating against one of my clients in a totally unrelated case in Bryan. The judiciary is a fraternity, after all, and they protect their own. Yeah, I know. I shouldn’t be surprised. Following the lead of the D.C. Court of Appeals, Maryland’s highest court whitewashed the criminal misconduct of three attorneys who destroyed more than 30,000 emails while representing Hillary Clinton. In an opinion issued this morning, Chief Justice Mary Ellen Barbera of the Maryland Court of Appeals wrote that a lower court lacked jurisdiction to compel the Attorney Grievance Commission to investigate David Kendall, Cheryl Mills, and Heather Samuelson. The court’s jurisdictional conclusion is a plausible one, but it cleverly sidesteps the real scandal, which is found near the beginning of the opinion: the court refused to hear my cross-petition. Allow me to translate. When Maryland bar prosecutors appealed to the Court of Appeals (“COA”), they argued that only the COA could compel them to investigate Mr. Kendall, Ms. Mills, and Ms. Samuelson. If that’s true, I responded, then the COA itself should order bar prosecutors to investigate. The COA’s response? It simply refused to hear my argument, and it did so without any explanation. It’s hard to win an argument when the court refuses to hear it. Furthermore, as I noted in a post last year, the COA had serious conflicts of interest because it changed the rules after the fact in response to ex parte communications with bar counsel. When I asked the judges to recuse themselves, they likewise denied that request without an explanation. Why won’t Seth Rich’s brother authorize Wikileaks to tell what it knows? It’s time to call somebody’s bluff. 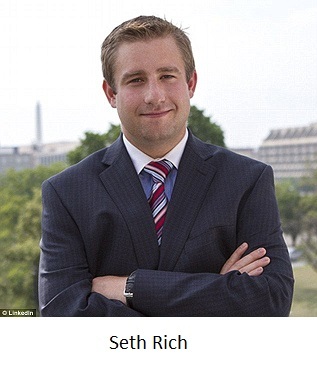 On May 30, 2018, I asked lawyers representing Aaron Rich to authorize Wikileaks, Julian Assange, and Kim Dotcom to reveal what they know about payments to Mr. Rich or his brother, murdered Democratic National Committee employee Seth Rich. Those lawyers have been stonewalling ever since. As you may recall, Mr. Rich sued my client, Ed Butowsky, as well as The Washington Times, America First Media, and Matt Couch, in D.C. federal court on March 26, 2018, claiming they defamed him with allegations that he and his brother orchestrated leaks from the DNC to Wikileaks in exchange for cash. 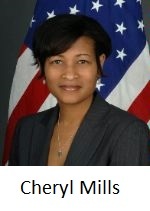 It seemed obvious to me that the fastest way to resolve the dispute was to authorize the people in the best position to know to tell what they know, hence my request that Mr. Rich authorize Wikileaks, et al. to speak freely. Apparently that idea struck a nerve. On Friday evening, The Gateway Pundit, LawAndCrime.com, and Worldnetdaily broke the news that Mr. Rich’s lawyers had subpoenaed the Twitter records – including direct messages – of a number of right-leaning publications and authors. To the gullible masses, it might seem like Mr. Rich’s attorneys are aggressively trying to find the truth. In reality, it is the exact opposite: Mr. Rich’s attorneys are trying to intimidate anyone who asks inconvenient questions. Sgt. Tallywacker rides again — hide the women and children! 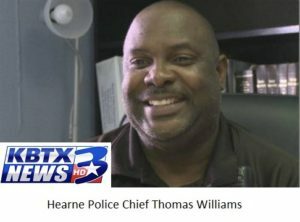 A disgraced former Hearne Police Department sergeant is wearing a badge and gun again, according to records that I received today from the Texas Commission on Law Enforcement, and it is only one example of a much larger problem. Stephen Yohner, known on this blog as “Sgt. Tallywacker,” left Hearne PD last year amid accusations that he texted a photo of his gonads to a female officer. He was also accused of taking money and drugs from crime scenes without properly accounting for the evidence, and he is named as a defendant in an ongoing civil rights lawsuit. Nonetheless, he was commissioned on May 15, 2018 as a reserve officer by the police department in tiny Hico, Texas (home of the Billy the Kid Museum, as it happens). I had no knowledge of the information you just sent over. Chief Ashmore retains the files on his reserve officers. Chief Ashmore is on vacation but will return to duty on Monday. I have notified him about your email. I’ve got a feeling somebody will get called into the principal’s office on Monday morning. It’s not like Sgt. Tallywacker’s reputation was a secret. 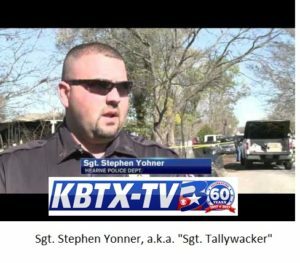 If you Google “Stephen Yohner,” a list of news articles and blog posts explains the circumstances of his departure from Hearne PD, and all of that should have shown up in any background investigation. The U.S. Department of Justice will not release any records related to the murder of former Democratic National Committee staffer Seth Rich, according to a letter that I received today from the Executive Office for U.S. Attorneys. Actually, they have refused to release any records about Seth Rich at all, e.g., whether he had a security clearance or a background check. The same office originally refused to even search for records related to Seth Rich, but it was overruled on October 2, 2017 after I appealed to DOJ’s Office of Information Policy. Six months later, they’re still refusing to release anything. I have already filed suit against the FBI and DOJ to force the agencies to release records (DOJ’s answer to the lawsuit is due next Thursday), and I am not particularly surprised by the response thus far. For one thing, the Freedom of Information Act grants broad exemptions for records pertaining to law enforcement and prosecution.